Early in the 20th century changes in appetite and weight had already been recognized as important features of severe psychiatric disorders. The present chapter reviews recent evidence suggesting that the fat cell-derived hormone leptin is pathophysiologically involved in these changes. 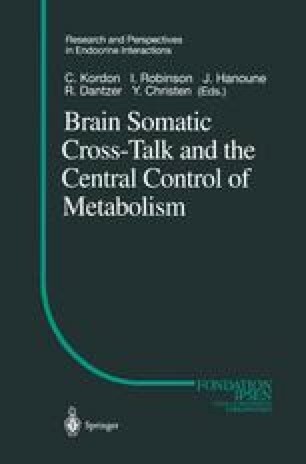 Moreover, data are discussed supporting the speculation that leptin, which is now recognized to be a cytokine-like peptide involved in many aspects of brain function such as neurodevelopment, neuronal survival and various aspects of behavior and cognition, plays a patho-physiological role in behavioral and cognitive changes observed in psychiatric patients and, in particular, in anorexia nervosa and schizophrenia.